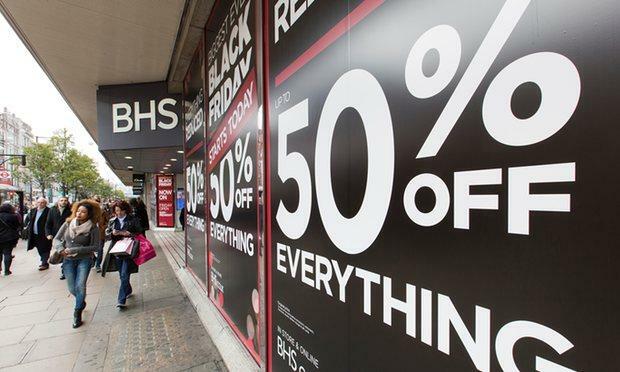 The news that British department store chain British Home Stores has gone into administration is yet another marker that the digital age is fundamentally altering the retail landscape, with brands that are unable to embrace technology effectively, at serious risk. Technology driven changes are too numerous to list, but include.. According to eMarketer, worldwide retail ecommerce sales are forecast to grow from $1.33 trillion in 2014 to $3.58 trillion in 2019, more than doubling in terms of the proportion of total retail sales from 6.3% to 12.8%.. Mobile traffic now accounts for 43% of ecommerce traffic versus 46% that comes from ‘traditional’ online, (source Demandware Shopping Index Q4 2015), with mobile responsible for almost all ecommerce traffic growth. However, mobiles account for 23% of orders, while laptop and PC based shopping still accounts for 63% of orders (tablets represent the other 14% of orders). This indicates that while mobile is now the channel of choice for many shoppers, it is part of a more complex journey towards buying, with the desktop remaining the most popular choice to complete a transaction. Milward Brown identified the convergence of media and sales touchpoints as a key prediction for 2016. The company’s Global Brand Director for Digital said "Sales and media touchpoints have traditionally been separate, but changes to the digital landscape and consumer behavior now allow marketers to unify them for the first time". He explained "In 2016 we expect advertisers to map marketing contexts to an integrated consumer journey so that sales and brand-building content complement rather than compete with each other." Evidence of this change includes some smart brand owners that have stopped budgeting by media and marketing discipline and started allocating marketing budget against business challenges. Shoppable ads are a clear example of how the retail experience is being transformed by technology. During the Superbowl this year H&M ran a TV spot featuring David Beckham that was promoting the 'real' footballer's range of underwear. Viewers with Samsung Smart TV’s could buy the Beckham underwear immediately through their TV. US beauty website Joyus.com enables any products being demoed in its 'how to' make-up films to be clicked on at any time and purchased. 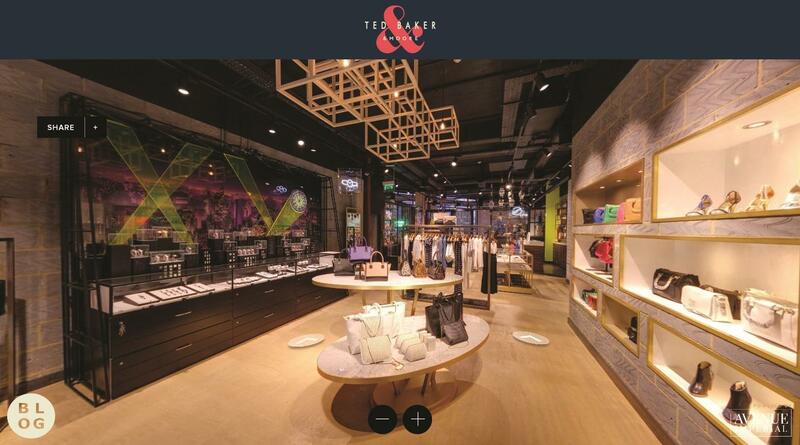 Ted Baker recently launched a virtual version of their flagship London store in Shoreditch, again fully shoppable. Stacy Smollin Schwartz, from Rutgers Business School, says it makes sense today to put a shopping button in as many places as possible. "A marketer never knows when a specific customer might be ready to buy, and having a shopping basket at the ready within their social media posts, banner ads and videos covers their bases," says Schwartz. "Even if these new buy button placements don't provide a significant revenue stream, they are a convenience for shoppers who might be ready to decide. And these e-tailers get to appear more user friendly and accessible, especially among shoppers who don't wish to interrupt their experience on the content page they're currently viewing." 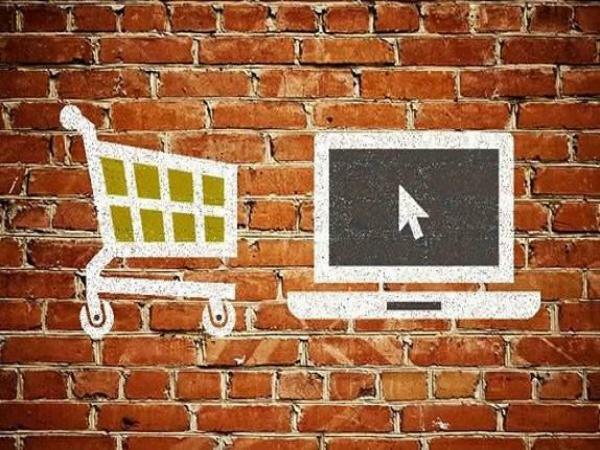 According to Deloitte Digital’s Digital Divide report over 50% of in store purchases are now influenced at some point by digital content and, overall, digital content is a critical influence on 30-50% of all sales transactions in all channels. Retailers increasingly recognise the importance of content and the need to integrate it effectively with commerce. Whilst the concept of ‘Brands as publishers’ has been hotly debated in the industry for a few years now, bringing enthusiasm and disdain in equal measure, traditional brands such as Wal Mart, Macy’s & Sears have been joined by ecommerce players including Net A Porter and Asos as enthusiastic converts. More broadly, Coca Cola’s announcement last year that it was becoming a publisher provided a stamp of authentication for many. Retailers are also joining the broader move towards investment in content marketing. According to PQ Media, global content marketing spend is forecast to grow from $145 billion in 2015 to $313 billion in 2019 (more than doubling in 4 years). In a recent Harvard Business Review article, content expert Greg Satell pointed out that “for all of the talk about ‘brands becoming publishers’, most marketers are simply tacking on publishing functions to their existing operations without implementing any new processes or practices. That is a grave mistake.”. A retail brand that appears to be embracing the power of content to drive commercial success is German global discount supermarket chain Lidl. Their approach combines high frequency content, including both brand and user generated content that is socially engaging and amplified across advertising website, social and in-store channels. One recurring thread woven into many of these key trends is that the consumer is now in the driving seat when it comes to brand engagement and purchase behaviour. Using a choice of devices, always on internet access and huge product and pricing transparency, consumers can choose to engage with brands and buy at the time and in the way that best suits them. In other words, consumers don't care about channels, they are moving seamlessly between devices, media, platforms and environments to complete their shopping mission. As such the traditional linear buyer journey is dead. “Content providers have to plan their strategies around a circular consumer decision journey rather than through the top of a linear sales funnel" explains Stacy Smollin Schwartz, from Rutgers Business School. As this behaviour cuts across channels and devices, brands have to develop timely, relevant content experiences that are consistent for the consumer, wherever or however they choose to engage, in order to optimize the customer journey.